Kim Mordaunt’s debut fiction feature, following his absolutely stunning feature documentary Bomb Harvest, takes lessons learned from that film and spins a story into the mix. Bomb Harvest looked at the horrendous scar of unexploded bombs that absolutely blanket Laos, dumped mercilessly and relentlessly by the Americans during the Vietnam War, and which continue to harm civilians nearly half a century later, the most at risk of whom are the poorest and least educated. 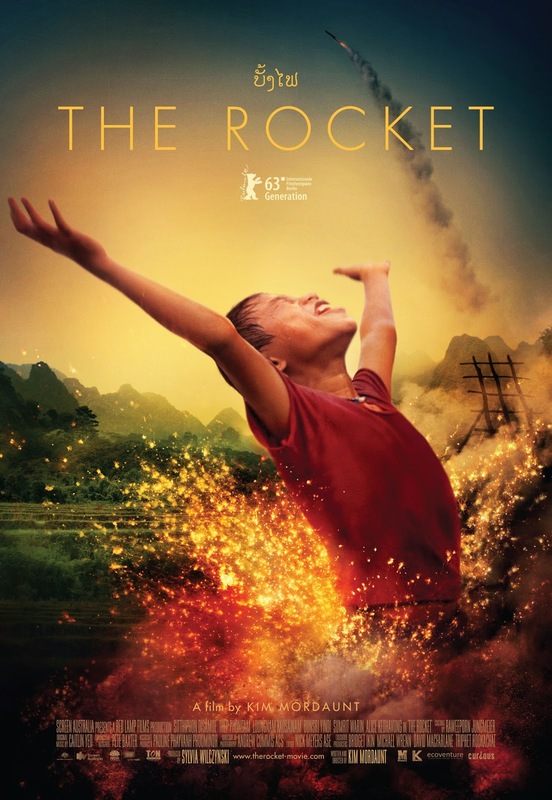 The Rocket isn’t about bombs per se but they certainly cast their shadow over the story of Ahlo, a young Laotian village boy who is considered to be cursed by his grandmother because he is a twin (his sibling having died in childbirth). When he and his small family are forced to move to make way for a new dam, Ahlo’s insistence to bring his boat brings about a tragedy. In accepting his outsider status, he forms a friendship with a young girl and her eccentric uncle, and ultimately enters a competition for home made rockets in order to win enough money to buy a house. Australian Mordaunt set himself not just a heroic but a stratospheric level of difficulty with this undertaking, working with non actors in a foreign land in a language he was far from fluent in (one of the film’s producers acted as his translator). That the film exists at all is a huge achievement. The fact that it’s really good is astonishing. 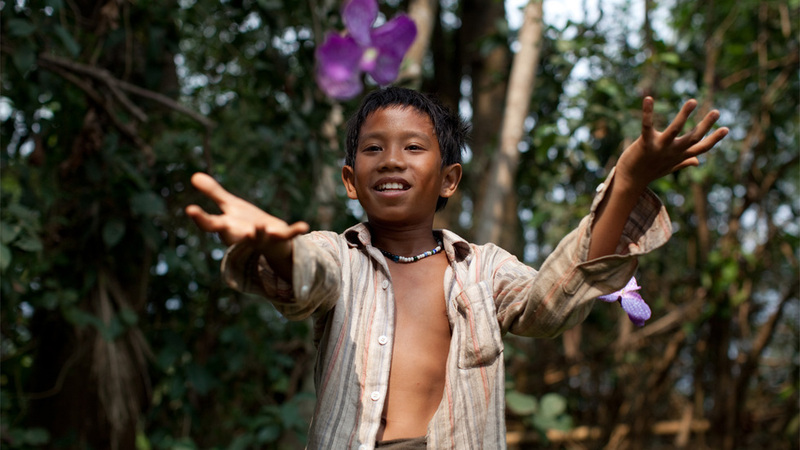 At the most basic level, it’s a fascinating look at Laotian village culture and inhabitants. The instant acceptance of these people to having to leave their homes because the government tells them to will strike a bizarre chord with westerners, particularly Australians whose own version of the government land seizure story, The Castle, is all about refusing to move. But westerners don’t live in a Communist country, and a well-timed shot reminds us that Laos is one (I’m not sure if I knew that – did you)? There are a lot of similar, cleverly deployed shots that inform as they also occasionally astonish, such as of a massive, already existing dam. The cinematography is beautiful and haunting (Andrew Commis); this is a film where you can practically feel the humidity. The story is not perfect, and the performances are of necessity uneven. The tragedy that kick-starts Ahlo’s journey feels almost too heavy to be dealt with, and the movie doesn’t really deal with it; having said that, this could be a cultural reading that isn’t in line with how Laos deal with grief and loss. Sitthiphon Disamoe, as Ahlo, has a winning presence, but his inexperience shows itself when he has to deal with the film’s most tragic elements, and Thep Phongam, as the eccentric, James Brown-obsessed Uncle Purple, doesn’t make the most of what, on paper, would easily have been the film’s most exciting character. But The Rocket is that unusual beast amongst films these days: a true original, depicting a culture rarely filmed, observed with a respectful but never overly reverential eye. In Competition at the Sydney Film Festival this year, it lost to Only God Forgives; the main criteria of that Competition – audacity – is in total display here. The Rocket makes Only God Forgives look like a rip-off, and The Rocket, in that competition if not at the many festivals where it has been scooping awards, was itself ripped off.